When I was a child I read George Gamow's "One, Two, Three . . . Infinity", which my father bought me one Sunday afternoon at the American Museum of Natural History. This wonderful book exposed me for the first time to the immense age and size of the universe. Ever since that time I have been sensitively aware of what I call "galactic topography" -- which is like knowing the lay of the land but on a cosmic scale. Most people know that we're in a "the" solar system, for instance, but how many people know that we're in a galaxy too, or what the name of that galaxy is? And where that galaxy resides in relation to other galaxies? Just to show the kinds of time-spans and distances we need to think about, consider these facts: The diameter of the earth is 7,900 miles. The diameter of the Sun is 865,000 miles. The distance from the Sun to the earth is 93 million miles. Since light travels at 186,000 miles a second, it takes sunlight 8.3 minutes to reach us -- and so we say that the earth is 8.3 light-minutes from the sun. 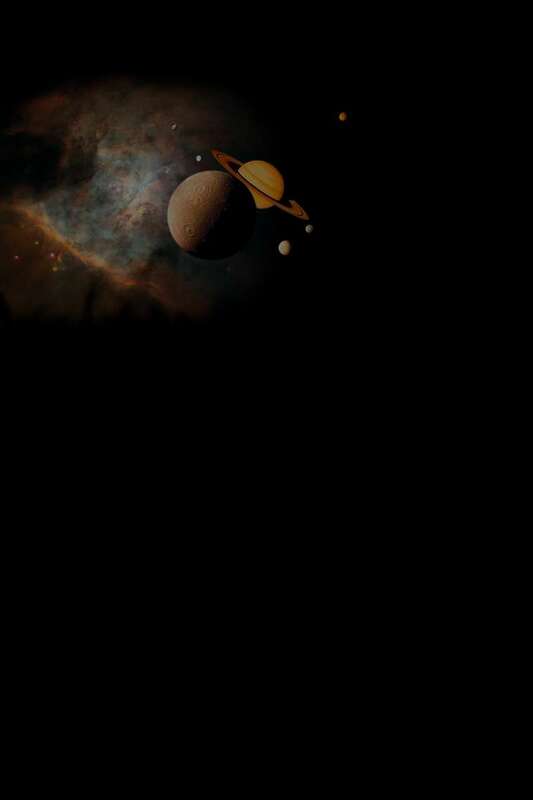 Pluto, the planet furthest from the sun, is around 400 million miles, or about 5 light-hours, from the Sun. The star closest to the Sun is 4.3 light-years away from us. Ours is a medium-size galaxy containing about a trillion stars, and has two nearby satellite galaxies called the Large and Small Magellanic Clouds containing a mere 100 million stars apiece. The nearest actual galaxy to our own is the slightly larger Andromeda galaxy, about 2.2 million light years away from us, the only galaxy other than our own that we can see with the naked eye. Oddly enough, it too has two small satellite galaxies. The Milky Way and Andromeda galaxies are only two out of a cluster of 20 galaxies that astronomers call the Local Group. The Local Group is just outside the Virgo Cluster, which contains thousands of galaxies. Galaxies seem to form in clusters and even clusters of clusters ("superclusters"), which can be 300 million light-years across. According to Microsoft's Encarta, "Overall, the distribution of clusters and superclusters in the universe is not uniform. Instead, superclusters of tens of thousands of galaxies are arranged in long, stringy, lacelike filaments, arranged around large voids. 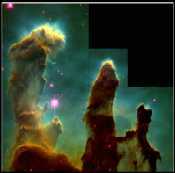 The Great Wall, a galactic filament discovered in 1989, stretches across more than half a billion light-years of space." Those are the sort of factoids I love to stuff into my poor brain! Now when people ask you where you come from, don't say "Philadelphia." Just say, "The planet Earth, in the Solar System, in the Milky Way Galaxy, in the Local Group, near the Virgo Cluster, just to the left of the Great Wall." 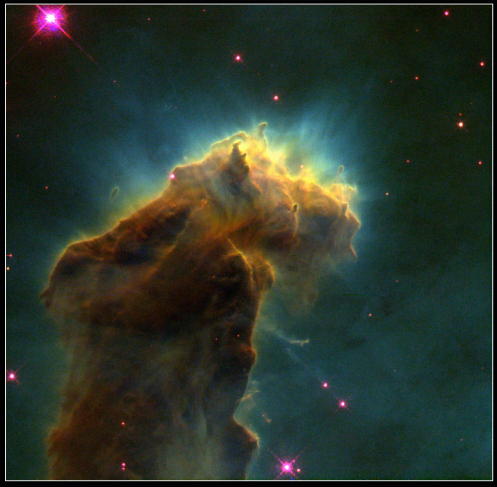 To learn about these amazing photographs of the Eagle Nebula, visit the Nebulae Photographs Page at NASA's National Space Science Data Center Web Site.